Today's word is a bit more difficult to trace throughout the book of Colossians because 1.) 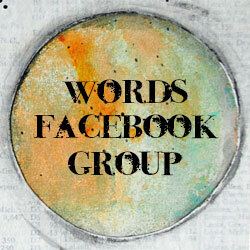 a variety of Greek words were used, and 2.) they were translated into a number of English words. The four Greek words that are used (epignosis, epignosko, gnorizo, and gnosis) all originate from the word ginosko. 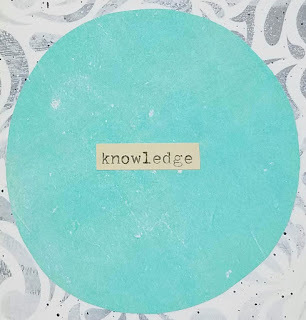 Ginosko is not knowledge one learns by acquiring facts or having information about something or someone. Ginosko is experiential knowledge, knowledge that comes from close, intimate relationship. It is personal knowledge. Ginosko is the first Greek word I learned in Bible study. Learning that there were numerous Greek words for the English word knowledge and that this particular word had such a deeper, richer meaning opened the Scriptures to me in a deeper way, and began my journey into learning how to study the Bible by understanding the original language. I am in no means a Greek scholar. I have not been professionally trained through seminary education. I just have an incredible thirst and desire to learn, especially God's Word, and I have been blessed with pastors and friends that have helped me develop my study skills. The reason I have become so passionate about teaching others how to study the Bible is that we live in an age where, because of the internet, we have so many study tools available to us for free, that would have cost hundreds and thousands of dollars to accumulate in printed form in the past. Thus, we have at our fingertips, through the use of our computers, the tools that pastors and seminary students and professors use. We have only to learn how to use them!...Okay, just a bit of a glimpse into what drives my passion for Bible study and for leading others in it. So, back to ginosko. Look briefly at some of the verses the apostle John uses this word in - it is a favorite word of his! "Now this is eternal life: that they know you, the only true God, and Jesus Christ, whom you have sent." John 17:3. That they KNOW personally, by experience, the one true God and Jesus Christ. Not simply know about Him or are informed about Him, but truly, deeply KNOW Him because you are in a personal, intimate relationship with Him. Try this one: "We have come to believe and to know that you are the Holy One of God.” John 6:69. The 12 disciples were not just taught, informed, or educated about who Jesus was. They lived with Him, followed Him, experienced the lives He changed, the miracles He performed, the blinded eyes He opened. They came to believe in who He really was because they KNEW him personally, intimately through experience. Last one, I promise! "He was in the world, and though the world was made through him, the world did not recognize him." John 1:10. John had began his gospel with an explanation of the Word of God, Jesus Christ, and who He is. He then says that the world, however, did not recognize (ginosko) Him. They did not KNOW who he really was because they did not KNOW Him personally, intimately. Sometimes knowing the full meaning of the Greek words used will open up deeper understanding of the Scriptures for us. Other times the Greek word simply means exactly the same thing as our English word. But digging into it can be so eye-opening. And heart-opening! So now with your knowledge of this root Greek word, see if it gives some new understanding to some of its uses in Colossians. I'll just go through a few of them and then provide the full list and words at the end and you can dig into the rest. This word that the translators of the NIV chose to use "understood" in English, is epignosko in Greek. From the root word ginosko, epignosko means to know something thoroughly, and again, this is by experience, intimately. so, through the gospel they came to intimately KNOW and understand God's grace for them through Jesus Christ. They came to KNOW this from Epaphras who shared the gospel with them. It makes me think about what we looked at on day one, when Paul lifts up these faithful people who were living their faith out in relationship with their friends, family and neighbors in Colosse, They apparently saw in Epaphras a faith that showed them what God's grace looks like! And so, they too, came to have that same faith in Christ. "...you have taken off your old self with its practices and have put on the new self, which is being renewed in knowledge in the image of its Creator." Colossians 3:9-10. Again, epignosko is used here. As we grow in our faith in Christ, we must over time put off the practices of our former way of life, and embrace and live out the practices of our new way of life. For this to take place we need to thoroughly KNOW and understand Christ's ways. We become more Christ-like as our very being, who we are, is renewed by the knowledge of who Christ is. This is where the values of Bible KNOWLEDGE (experiential, not just information) and community play vital roles. We gain intimate knowledge of Jesus Christ and His ways through the Word. We learn how to live them out in community. We have the examples of those who are living godly, faithful lives to help show us and lead us to godly living. "I want you to know how hard I am contending for you and for those at Laodicea, and for all who have not met me personally. My goal is that they may be encouraged in heart and united in love, so that they may have the full riches of complete understanding, in order that they may know the mystery of God, namely, Christ, in whom are hidden all the treasures of wisdom and knowledge." Colossians 2:1-3. Now you may have noticed that there is the use of the word "know" in the first verse that I did not highlight. The "know" in verse 1 Paul uses the Greek word "eido", which is objective knowledge that is learned or acquired. The other word for "know" in verse 2 is epignosis and means a precise and correct knowledge. Paul wants the Colossians to fully KNOW what the mystery of God is: Christ, who they KNOW intimately. 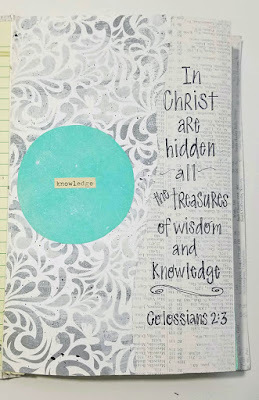 He then continues in verse 3, stating that in Christ are hidden all the treasures of wisdom and KNOWLEDGE (gnosis). In KNOWING Christ intimately the mystery of God is no longer hidden. It has been made KNOWN to them through the gospel message: Salvation, forgiveness and reconciliation with God come to them through a relationship by faith in Christ Jesus. There is so much here to absorb, and I know my passion for this has caused me to ramble on and on. So, please take time to soak in the Word. Read the passages slowly and let the understanding of Paul's deliberate use of words in the Greek language open your heart to his message. We grow in our spiritual life as we come to KNOW more deeply who Christ is through the pages of the Holy Scriptures. 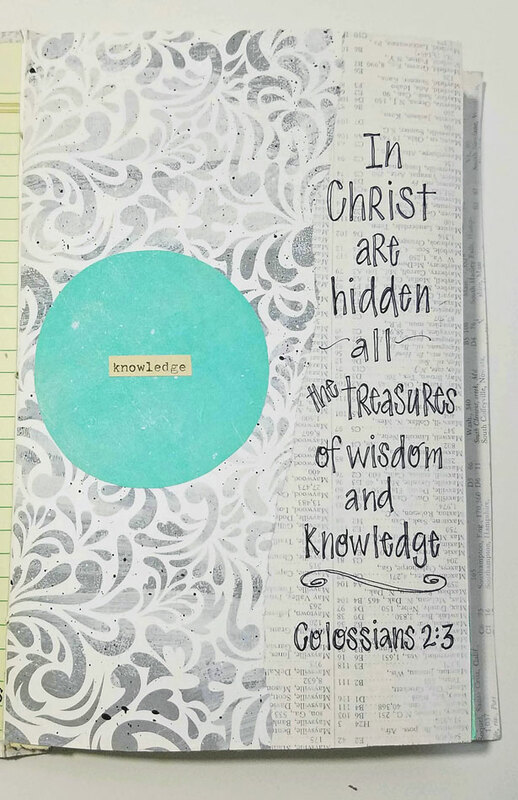 Here are the verses that contain the various Greek words originating from ginosko which Paul has used for knowledge in the book of Colossians. The number in parentheses is the Strong's number in case you would like to look them up in a concordance.